For many years one of Stockholm’s most magnificent party and dinner venues has been in the shadows of the grand ship Vasa. The Vasa Museum’s Restaurant is an additional option to host your special evening when a banquet around the ship seems too grand. The spacious restaurant accommodates up to 180 guests and can also provide music and entertainment. The restaurant offers the same event services as it does in the ship hall and more. 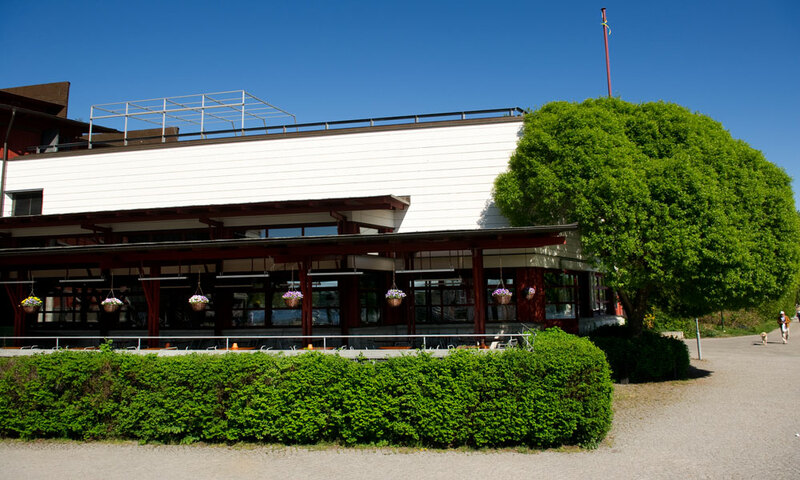 The marine inspired restaurant, stylishly decorated in motifs such as sailboats, sails, and with a view of the icebreaker “Sankt Erik” and a Lighthouse ship outside of the windows. It is a relaxing and comfortable environment waiting for you to be explored. The restaurant also has a beautiful veranda where guests can enjoy a meal or a drink as the sun sets over Skepps- and Kastellholmen. For suggestions regarding our event menus, cocktails and beverages please follow this link.